I'm Sarah Clark, a copywriter, blogger, social media butterfly and journalist. Sometimes all in the same day! I set up Sarah Clark Copywriting in 2007, after being made...Read moreI'm Sarah Clark, a copywriter, blogger, social media butterfly and journalist. Sometimes all in the same day! I set up Sarah Clark Copywriting in 2007, after being made redundant from a long-term position as a Communications Manager for a government department. My writing career began in 2000 when I joined Beauty and Health Publishing Ltd as a Features editor for three B2B magazines. I write mainly for major skincare and pharmaceutical companies, independents and small businesses as well as digital media agencies and publishing companies. I'm also a published author. I currently write regular articles for Superdrug Online Doctor and Dr Ed, as well as P3 Pharmacy Magazine. I changed the name of the business to The Word Boutique in 2013 and I offer high quality copy writing services tailored to your needs and budget. Contact me for more information. I was spa writer and beauty copywriter for SpaSeekers from 2010 - 2013, and until May 2013, I was also editor of Inspired, a lifestyle magazine for Essex, for which I wrote many beauty, health and lifestyle features. I also write regular health articles for P3 Pharmacy Magazine and various blogs. I write sparkling copy for magazines and websites (including beauty brand Simple and many health care brands) have written brochure and advertising copy for big names, and been responsible for news, features and stories for legal and public sector organisations too. I've also interviewed a few celebrities, like Sonya Madan, for Inspired Essex Magazine. Check out my Contently profile if you'd like to read them. Other past clients include: Soul and Spirit; Tena Talk; Slim at Home, Salon Today, Salon Plus, Spa Plus, Nails Plus; Workplace Law and Trading Standards Today. My website - The Word Boutique dot org - gives you some good examples of what I can do. I've also been featured on local radio in my capacity as a 'fashion & lifestyle expert' which I've enjoyed very much. Summary: Magazines, websites, blogs, public relations copy writing, books, news service, brochures. 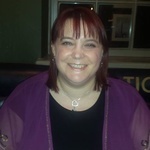 Description: I was responsible for researching, writing and editing all of the features, organised the offers and competitions, commissioned contributors, sourced images, kept the blog, Facebook page and Twitter account running and proof read everything in the magazine, a free monthly glossy lifestyle magazine. Description: Beauty and spa related copywriting for SpaSeekers website including spa reviews and descriptions; writing news; blogging twice a week; beauty press releases and articles. Description: Product-led health features on a regular basis covering subjects from winter health to headaches and smoking cessation, all from the point of view of the pharmacist. Description: Writing various 500 - 800 word articles on many different subjects including beauty treatments, complementary health, consumer rights and more. PLEASE NOTE: I am a full time freelancer with almost a decade's experience, plus a background in publishing. Please don't waste either of our time by inviting me to bid for projects paying less than the minimum wage, or to write you 1000 word blog posts for £10 each. Excellent communication. Fast delivery and a really good job. Highly recommended. Thanks Theo - much appreciated! Absolutely fantastic. Quick, efficient and exactly what I was after! Thanks so much Sarah and I can't wait to speak with you again.